2014 was the year that hybrid cars turned from pure economy into something car enthusiasts could really get excited about but which was the most exciting hybrid car of the year? A decade ago, petrol prices were rising, modern cars were getting heavier and legislators talked about the end of fossil-fuelled cars. This kind of talk was pretty bleak for car enthusiasts, especially as the electric and hybrid cars available weren’t what you would describe as much fun. In 2014 that changed, it was the year that hybrid cars became really exciting. Carphile ran a poll on Google+ over two weeks in December to find out what was the most exciting hybrid car, lining up five of 2014’s most exciting hybrid cars. We accept that many of these cars are ultra-expensive but, there is the promise that this technology will filter down to more mainstream models in the near future (or in BMW’s case right now, as with their i3). BMW’s incredible hybrid super car can cover the 0-60 mph in 4.4 seconds and has a top speed of 155 mph yet also returns up to 135mpg and 49g/km Co2, (making it eligible for free road tax and exempt from London congestion charge). Hybrids are usually heavy, but not the i8, using composite body panels and carbon fibre, it weighs in at 1490kg, which is the same as a new Porsche 911S. Out of all our contenders, the i8 is arguably the only car that wraps it’s futuristic technology, in a truly futuristic design. 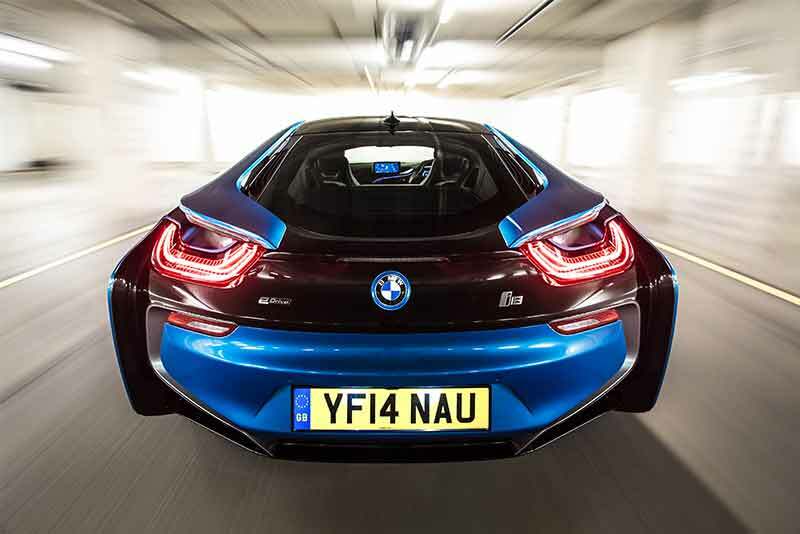 With a starting price of £95,000, the i8 may not be cheap but it is the real bargain of the group. Packing in so much technology into a bespoke platform, you have to wonder if BMW makes any profit on the i8 at all? 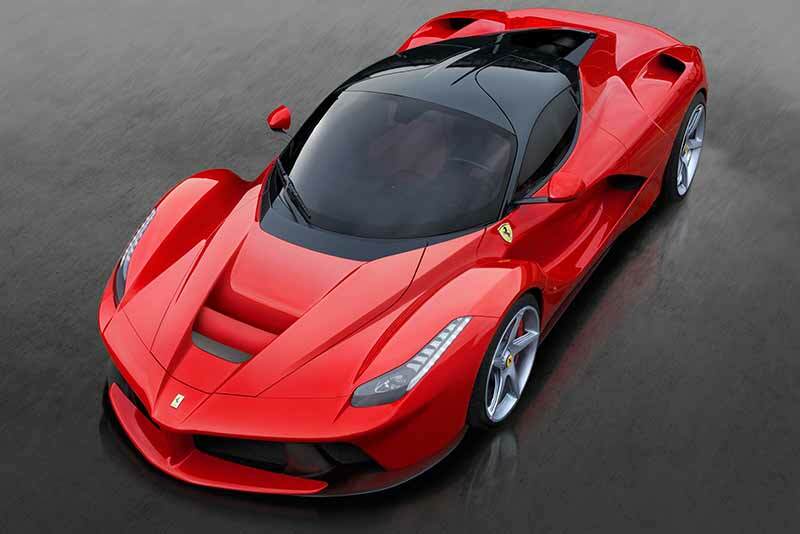 LaFerrari was one of the most eagerly anticipated cars of 2014. A hybrid car whose power train didn’t solely serve economy used normally-aspirated and electric power to bring a modern day Formula 1 driving experience to the road. The petrol/electric combination delivers a jaw-dropping 950bhp from a 6.2 litre V12 and twin electric motors (dubbed HY-KERS), LaFerrari can cover the 0-60 dash in under 3 seconds and a top speed of over 218 mph. Ferrari engineers used LaFerrari’s electric motors to minimise any flat spots in power delivery, meaning torque is pretty much always available (as in an Electric car), while keeping the soul of this ultimate Ferrari, it’s V12 engine, intact. Although not in production (yet), Lamborghini stole the show at the 2014 Paris Motor Show when it pulled the covers off it’s Asterion concept car. Delivering around 900bhp from twin electric motors and, in true Lamborghini style, a 5.2 litre V10. 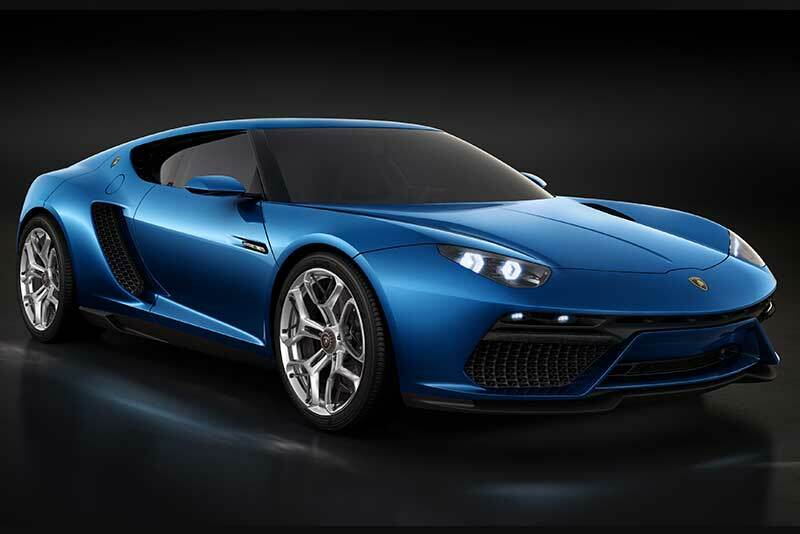 On the road the Asterion would dash from 0-60 mph in 3 seconds and on to a top speed of 199 mph. Yet it has a responsible side, delivering under 100g/km Co2 (free road tax in the UK) and capable of covering a range of up to 50km on electric power alone. The Asterion was the news car fans around the world had been waiting for, showing that tougher future emissions won’t mean the raging bull losing its soul and Lamborghini will still build the cars we love them for. It’s not easy building a follow up to one of the greatest road cars of all time the F1 but then McLaren have never shirked a challenge, so they set the bar even higher and declared their aim for the P1 was to make it “the best drivers car in the world on road and track“. 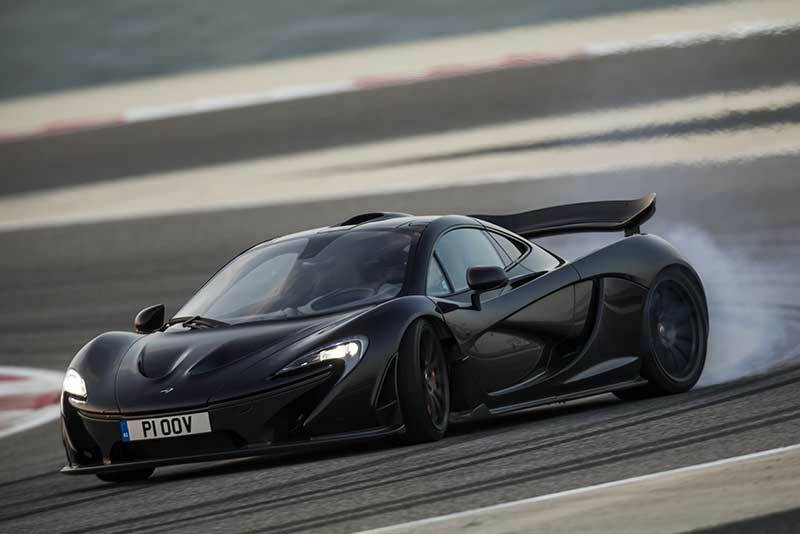 Delivering around 903bhp from a 3.8 litre twin-turbo V8 and an electric motors, the P1 delivers performance to lay the mighty F1 to rest (or blow it into the weeds). 0-60 comes up in just 2.8 seconds and the top speed, limited to 217mph. However, the P1 doesn’t disappoint in miles per gallon either, 34 mpg is staggering for a 200mph+ hyper car. Last, but not least, is the 918 Spyder. The car started as a concept in 2010 and this familiarity, paired with power outputs lower than it’s LaFerrari and P1 hyper car rivals, arguably lent it an air of the underdog. Delivering (just!) 887hp from a 4.6 litre V8 and twin electric motors and with a top speed of 211 mph, would leave the 918 Spyder behind in a game of hyper car Top Trumps. However, as you would expect from Porsche, that isn’t anywhere near the end of the story. The 918 cleverly uses it’s electric motors for extra grip, effectively it’s 4wd. So from less power, it matches it’s rivals out of the blocks, screaming from 0-60 in just 2.8 seconds. As a hybrid it trumps its rivals, returning a combined 85 mpg and 79g/km Co2 (free road tax in the UK). And just to put the final nail in the 918 ‘underdog’ coffin. 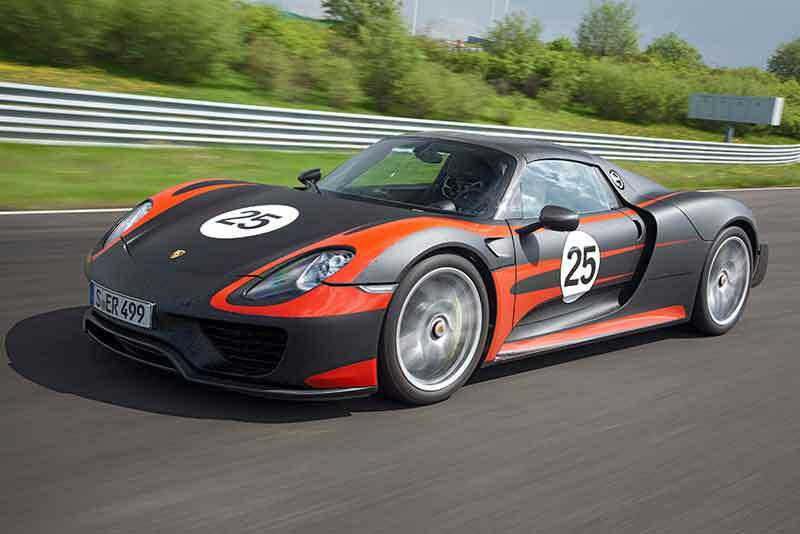 Porsche took a 918 Spyder to the Nurburgring and scooped the production car lap record. Their lap time of 6 minutes 57 seconds smashed the previous record by an amazing 14 seconds. But that’s not the end of the story, if you add up the plus scores for each car the results are a little different – 1st McLaren P1 (486), 2nd BMW i8 (202), 3rd Lamborghini Asterion (78), 4th Porsche 918 (34), 5th LaFerrari (28). 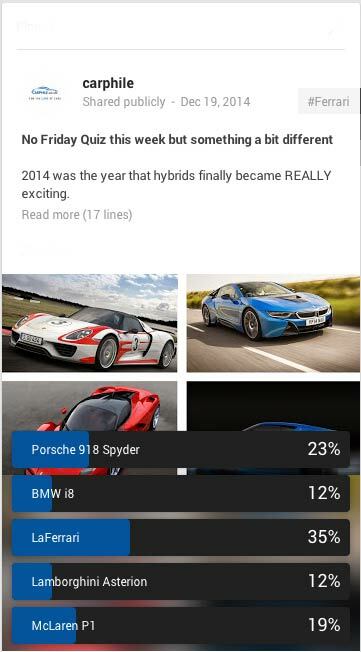 Take from that what you will but for us the poll result is final, making LaFerrari the most exciting hybrid car of 2014. Thanks to everyone who took part and to Ferrari, Porsche, McLaren, Lamborghini and BMW for delivering five cars that keep car enthusiasts love of motoring alive in the 21st century.